These are known for their durability and excellent functioning. 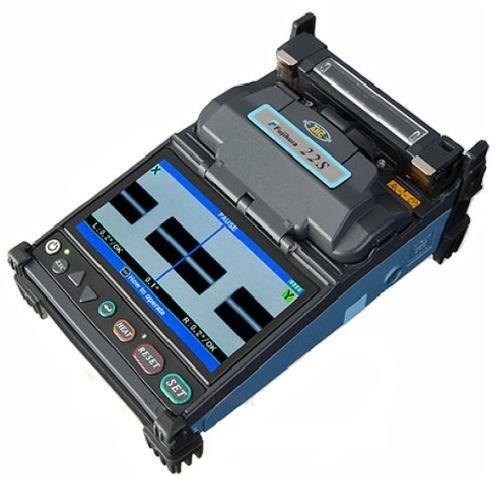 We hold expertise in trading and supplying an extensive array of FUJIKURA SPLICING MACHINE (JAPAN), INSTRUMENTS (KIKUSUI, GRAPHTEC AND KANOMAX [JAPAN]), HAN’S YUEMING LASER MACHINE (CHINA), GRAPHTEC CUTTING PLOTTERS (JAPAN) ETC. These products are highly acknowledged among clients due to their sturdy construction, high efficiency, corrosion resistance, low maintenance and longer service life. Available in diverse models and sizes to meet client’s specific requirements, these can also be availed at market leading prices.